Add a new look to your home with this fashionable and useful bench. 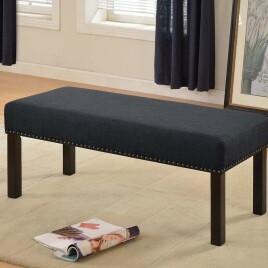 This beautiful bench features fabric upholstery with nail trim and an attractive finish. 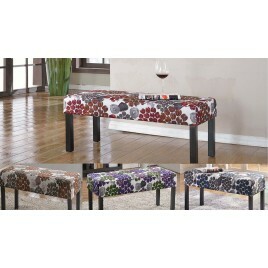 This bench wo..
Add a new look to your home with this fashionable and useful bench. This beautiful bench features a pattern print fabric upholstery and an attractive finish. This bench w..